Shane van Gisbergen salvaged sixth place in Practice 2 at the end of a tough day in Pukekohe ahead of this weekend’s ITM Auckland Super Sprint. The Red Bull Holden Racing Team driver found himself languishing in 19th in the opening 40 minute session before a late lap in Practice 2 promoted him to sixth fastest for the day. Along with a lack of pace, the 2016 champion also ran through the escape chute at the Turn 5/6 chicane in the opening session. 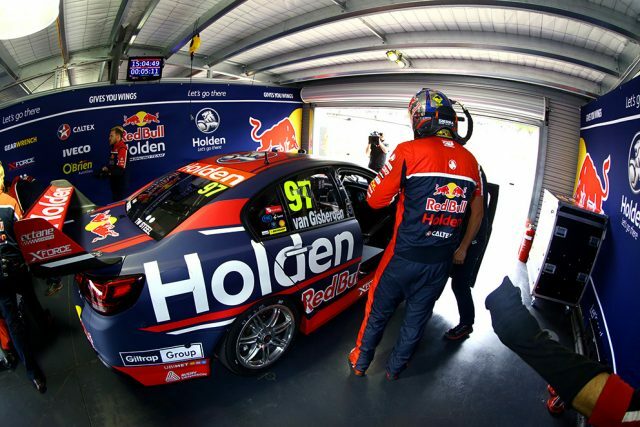 “The first session was junk, but we did some pretty good work between the sessions, worked the boys hard over the break, and straight away the car was much nicer,” van Gisbergen admitted. Between sessions the team focussed its efforts on the front end of Van Gisbergen’s Commodore, though he still sat outside of the top 20 throughout Practice 2 before his final flying lap moved him up the order. 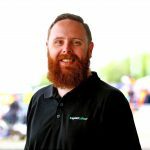 “The change we thought would be really good for the first session was just irreversible, so that was a shame, and we had to take the time to make it better,” he explained. While van Gisbergen moved forwards, DJR Team Penske’s Fabian Coulthard found himself going the other way. Second fastest in opening practice, the former championship leader could only manage 14th in Practice 2, 0.3s slower than that he’d managed earlier in the day. Coulthard though was unconcerned by the lack of improvement, suggesting it was part of a development plan the team was working through across the day. “Practice is practice, and that’s the time to explore the avenues,” he reasoned. Coulthard was the slowest of the six Ford drivers, while team-mate Scott McLaughlin was fourth quickest in Practice 2, having topped the earlier session. Both Coulthard and van Gisbergen now turn their attention to qualifying, with the Virgin Australian Supercars Championship next on track on at 1225 Saturday afternoon (1025 AEDT) for qualifying ahead of Race 23 of the season at 1610 (1410 AEDT).